LOCATION: McNabb Community Centre, 180 Percy Street, OTTAWA 7:00 p.m.
For the writer looking for historical information, we live in a resource rich environment. Here in Ottawa we benefit from facilities supported by taxpayers across the country. Some sources are obvious, others not so. Then there is the online search – a bounty of data both factual and fictional which you need to sort out. Research never stops. You can always learn something new about an old subject. And it is not just writers who are sleuthing out the past. Everybody is in the hunt for what happened when — financial analysts, car buyers and even scientists. But as writers we get to weave our discoveries about the past into entertaining stories that will captivate readers into the future. BIO: L.D.Cross (Dyan) is an Ottawa writer of business and lifestyle articles as well as books about unique aspects of Canadian history. 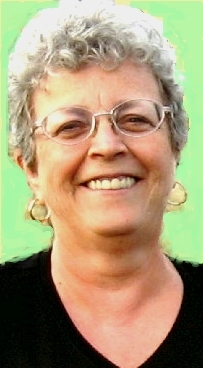 Her creative non-fiction articles have received awards of excellence for features and editorial writing as well as writing for seniors. She won the inaugural Ontario Historical Society (OHS) 2010 Huguenot Society of Canada Award honouring “the best book published in Ontario in the past three years which has brought public awareness to the principles of freedom of conscience and freedom of thought” for The Underground Railroad: the long journey to freedom in Canada in the Amazing Stories series. If you’re thinking of submitting to Mslexia’s Short Fiction Competition 2017, we’ve devised a set of three flash fiction workshops, specially designed to help you work on perfecting an entry (or three) for our newest competition category. To get you started, you can find the first and second workshops here. We’re looking for normal-length stories too, if the short short format doesn’t float your boat. Visit our website for more info and to see Vanessa Gebbie’s workshops from 2016. First prize for Short Story is £2,000 and includes two optional extras: a week’s retreat at Gladstone’s Library, and a day with a Virago editor. Five other finalists will each receive a share of the remaining prize pot. The new Flash Fiction category has a prize of £500, as well as three runner-up prizes, and all winning entries will appear alongside the Short Story winners in the June 2017 issue of Mslexia. Judging the longer stories this year is twice Booker-shortlisted novelist and short story author Deborah Levy, whose novel Hot Milk came out last year. Our new Flash Fiction category is being judged by award-winning flash fiction writer and novelist Kit de Waal, whose début novel My Name is Leon was shortlisted for the Costa First Novel Award in 2016. Once you have your story ready, full details of how to enter are here. If you have any questions, our website has a full list of FAQs and advice about entering online, or you can always call us on 0191 204 8860 to speak to a real human being. Looking for writing time? Polishing a project? Don’t miss Spring Thaw. Live Poets Society February Fire Filled Wordfest Competitive Slam Friday Mar.24, 2017 Coutts Roastery & Café, 57 Gore ST. East, Perth, Ont. Doors open at 6:30 pm, show starts at 7. $5.00 admission, performers free. Last competitive slam before the finals. VERSeFest, OTTAWA’S INTERNATIONAL POETRY FESTIVAL RETURNS! VERSeFest, Ottawa’s International Poetry Festival returns for an eclectic mix of written and spoken word poetry Tuesday, March 21 to Sunday, March 26, 2017. 60 poets. 6 days. 1 festival. All events take place at Knox Presbyterian Church (120 Lisgar St.) unless specified otherwise below. See versefest.ca for tickets and info. Tuesday, March 21, 2017 – Knox Presbyterian Church, 120 Lisgar St.
Wednesday, March 22, 2017 – Knox Presbyterian Church, 120 Lisgar St.
Thursday, March 23, 2017 – Knox Presbyterian Church, 120 Lisgar St.
Friday, March 24, 2017 – Knox Presbyterian Church, 120 Lisgar St.
Saturday, March 25, 2017 – Knox Presbyterian Church, 120 Lisgar St.
Sunday, March 26, 2017 – Knox Presbyterian Church, 120 Lisgar St. This entry was posted in CAA-NCR Monthly Notices, Calls for Submission, Canadian Writers, Literary Events, Poetry Festivals, Workshops, Writer in Residence positions, Writing Organizations and tagged Amanda Earl, Bywords.ca, CAA-NCR, CAA-NCR Monthly Meeting, Carol A. Stephen, Ottawa Literary Events, Ottawa writers, Quillfyre, Tree Reading Series, VERSeFest 2017, Writescape by quillfyre. Bookmark the permalink.